A nice article on analysis and classification of demos was released by Canan Hastik of the MEGA Museum of Electronics Games and Art. Among other things, it contains the example analysis of the VCS demos Stella Lives! and Beam Racer. 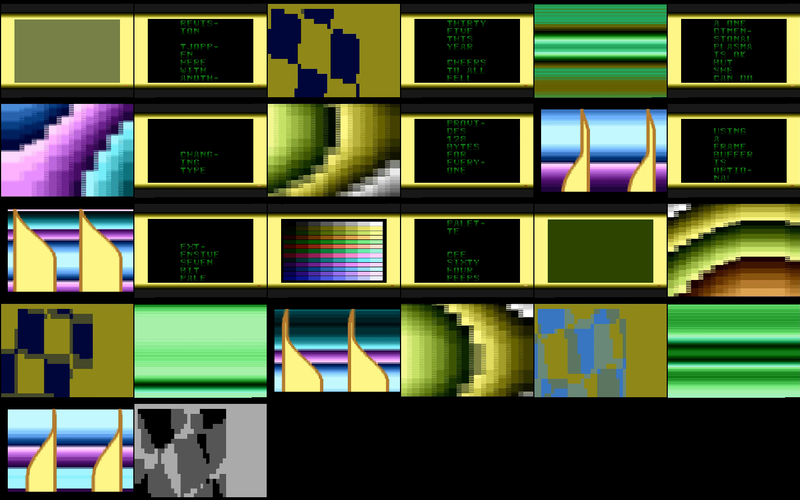 It yielded for example that BeamRacer ".. shows a massive presence of so-called "coder colours", meaning the programmer of the demo probably chose the colour scheme and visuals himself instead of relying on a graphics artist. This often results in very colourful screens using the whole RGB spectrum." And as the coder I can confirm that this is absolutely true :-) You can read the full article on Widescreen.